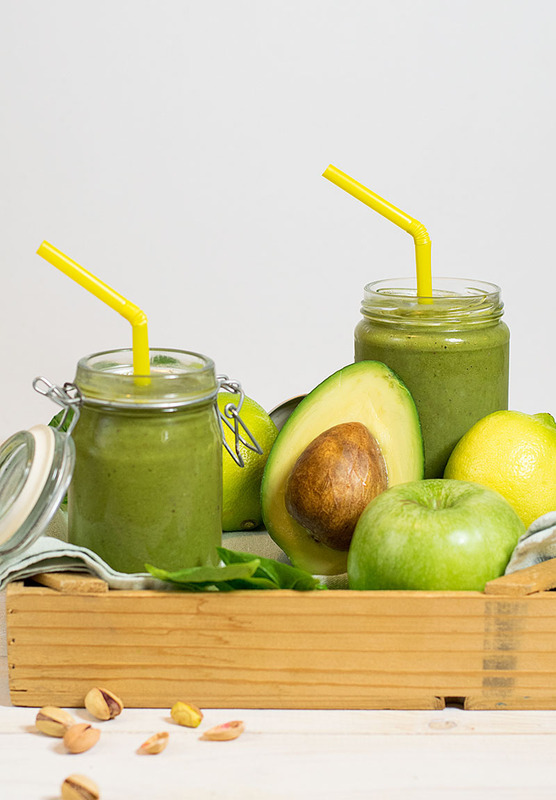 If you’re tired of green smoothies that taste like salad, try this super healthy one! I’m really excited about this post! And the reason is, of course, this smoothie! 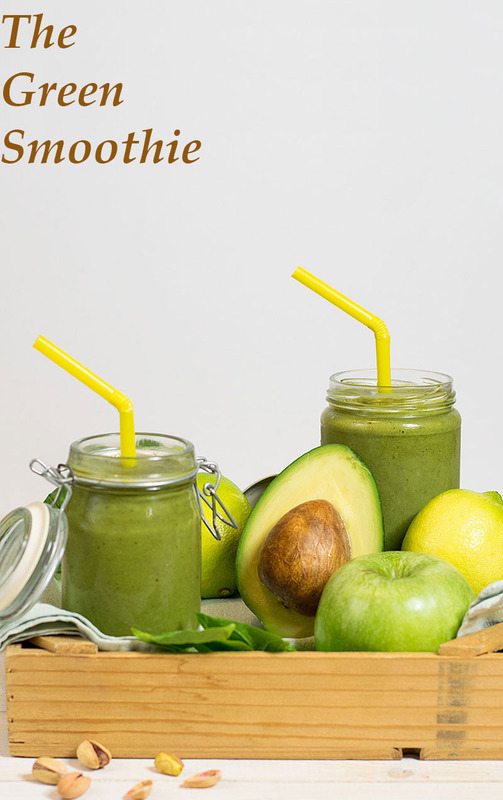 I’m sure there are a lot of smoothies out there that taste really good and also use greens, but since this recipe came out even better than what I was expecting, it made me very happy! 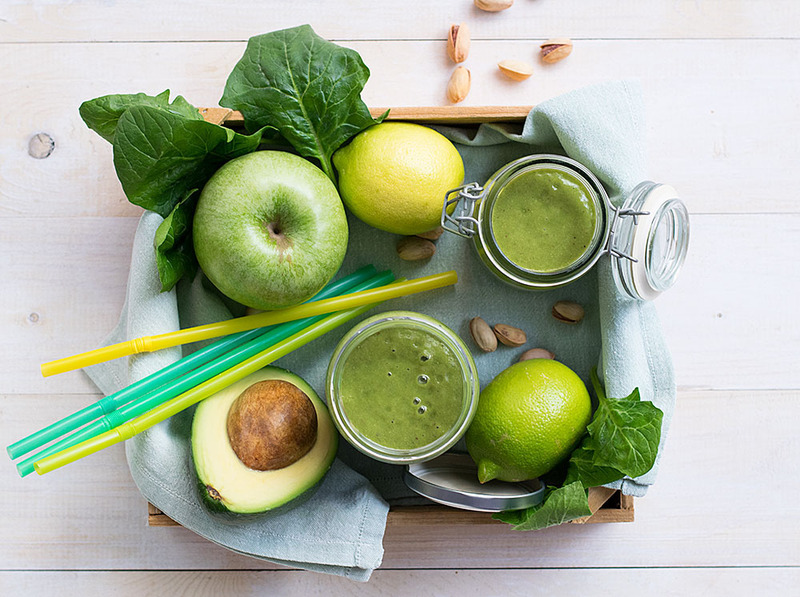 It all began with the idea of a green smoothie (dah…). It had to contain some greens and also have an intense green color. But it shouldn’t taste like salad. It should taste like something everyone would enjoy, even the pickiest child. And it should be really healthy. So, I started making ingredient combinations in mind. What should I put in it? Spinach was the obvious choice. Among all the vegetables, spinach is listed at the top for nutrient richness. Rich in vitamins and minerals, it’s also full of phytonutrients such as carotenoids and flavonoids to provide you with powerful antioxidant protection. Because it also has a very mild, neutral taste, I knew it wouldn’t impart any strong flavor to the smoothie. I also used some avocado. I was a little skeptical about it at first, because I didn’t know if its flavor would work well with the rest of the ingredients I had in mind. As it turned out, avocado was a great choice. 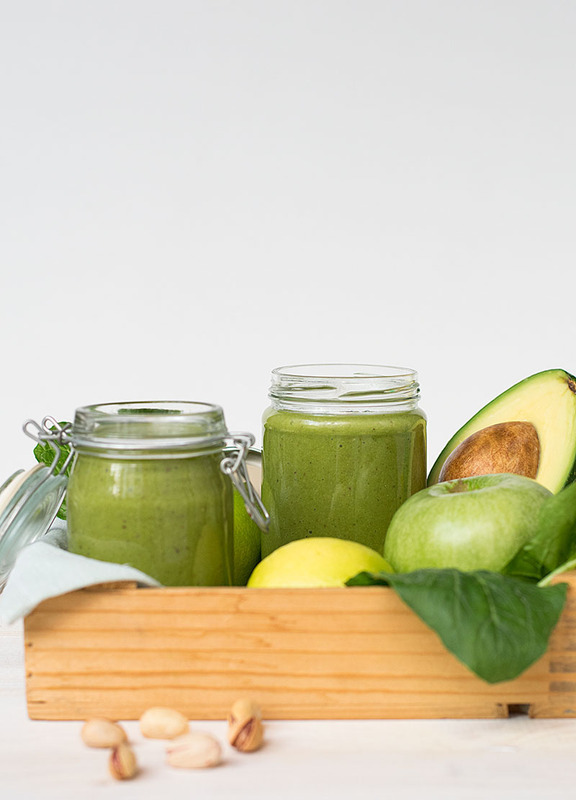 Avocados, sometimes also called alligator pears, are super nutrient and among other things they will provide you with potassium, vitamin K, vitamin E, fiber, magnesium, and monounsaturated fat. Yes, this is the kind of fat that’s good for your heart! I used bananas too, because I wanted that extra creaminess and their great flavor. 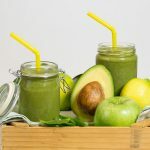 Green apple juice was another great choice, since it provides the liquid needed for the smoothie and gives it some extra freshness. And what if I wanted to make it over the top healthy? Then I suppose I would add some matcha green tea, some ground cinnamon and cardamom, a couple of teaspoons honey and some lemon zest and juice… OMG people! This is a health bomb! OK, I think I may have overdone it with the analysis of the ingredients. The bottom line is that this is a smoothie with a great taste! If I had to describe it, I would say it’s something in between a pistachio ice cream and a mixed fruits juice. Can anyone say no to that? And except the taste, while drinking it you can feel you’re doing something good to your body. It is a power smoothie! 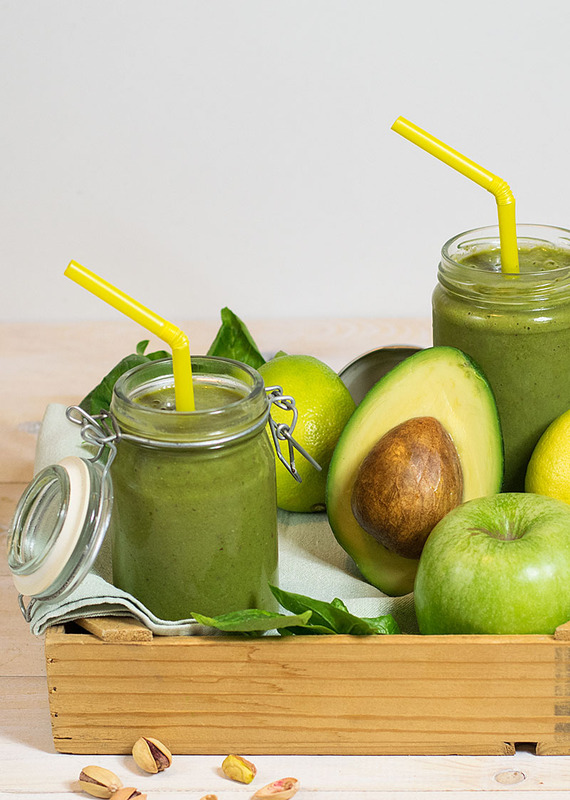 Drink this for breakfast or as a snack, it is very filling! And if you want to have a little treat with it, I believe it will pair really well with a slice of these sweet cretan cheese tarts or this amazing one bowl/no mixer needed apple crumble pie. Enjoy! Notes:If you don’t really like avocado, use half, as I state. You will not notice it! Pistachios could be raw or roasted. If roasted, their flavor will be more intense and delicious! Keep your fruits and apple juice in the fridge for a cold smoothie. If you don’t really like avocado, use half as I state. You will not notice it. Pistachios could be raw or roasted. If roasted their flavor will be more intense and delicious!